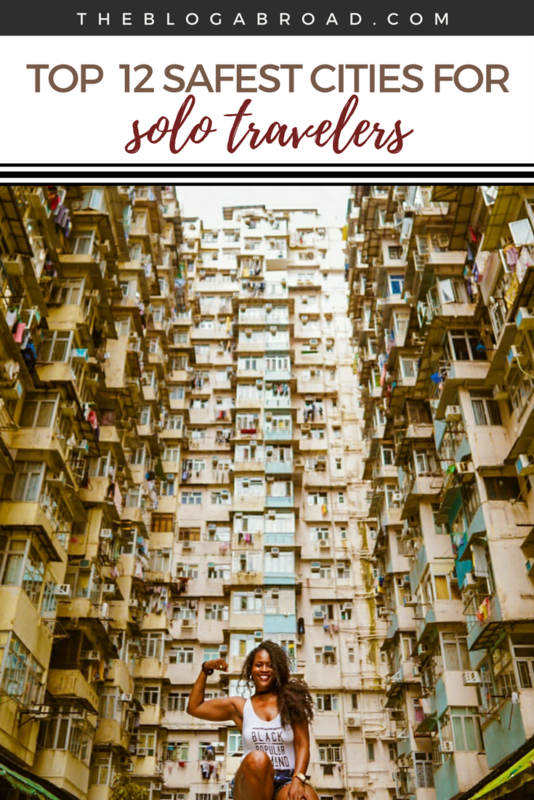 “What are the safest cities for solo travelers?” is a question I hear almost daily, and no doubt safety abroad shouldn’t be taken lightly, especially for those new to travel. I never take for granted that I’ve been able to roam the globe for over 4 years, mainly solo, and have been unharmed, unscathed, and never once been robbed *knocks on all the woods*. And while safety is relative, there’s no doubt I’ve been able to let my guard down in some cities more than others. You can never really be sure, and it’s always best to exercise caution everywhere. But for those who want an extra sense of security, I recommend trying one of these 12 destinations first to get your feet wet. This list is in no way exhaustive, and I hope to keep adding to it in the future, but it’s a good place to start. Anyone who’s been to the Middle East will tell you that Arabic culture is incredibly welcoming and hospitable. The western world typically associates this part of the world with danger, and that’s sad because they’re missing out on so much beauty and a safe environment to experience it. 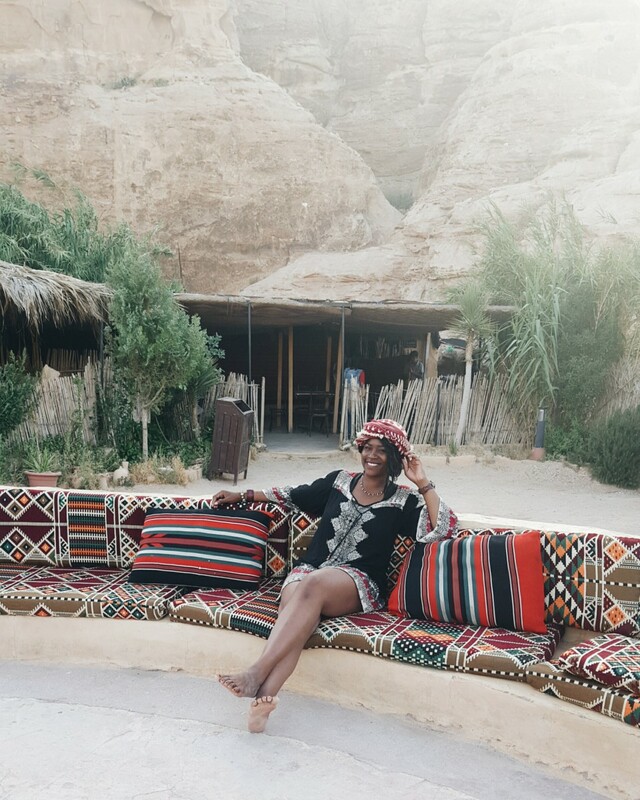 While Petra is a hotspot for tourists, you can stay at a nearby Bedouin Camp to get the ultimate taste of Middle Eastern culture, and not once did I ever feel like I needed to look over my shoulder. If anything and like most places, people just want your business, so they are friendly and harmless when they approach you. I was called Brown Sugar many times in attempts to get my attention and they always got a chuckle out of me because of it. Unexpected nicknames aside, they are really friendly people. 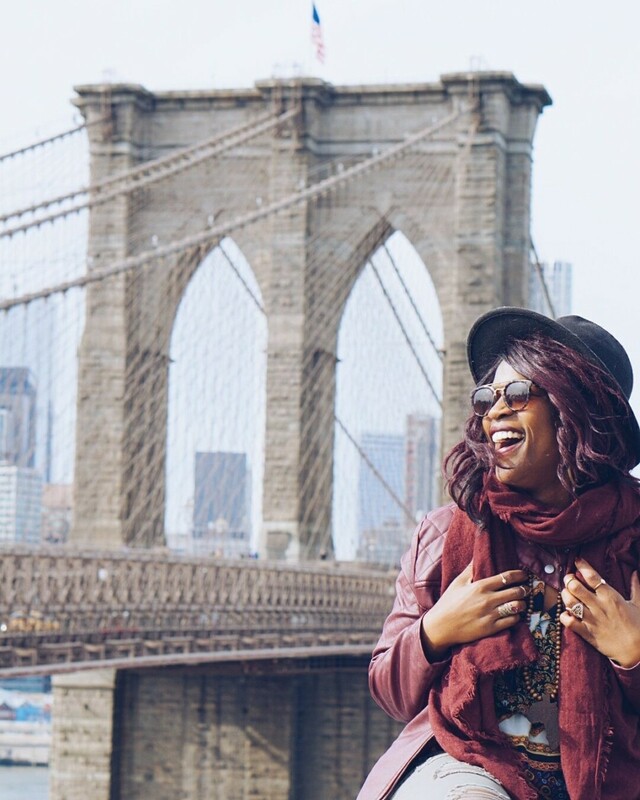 You’d be surprised how many international (and American) people travel to New York solo! It’s simply one of the best places to get lost on your own, people-watch, and just enjoy the magnificence of the east coast’s largest concrete jungle. New York is for dreamers and hustlers, so while you might just be another body shuffling your way through the streets, you can find so many ways to entertain yourself. There are also several modes of transport, and as long as you stay within familiar areas, you’ll feel safe walking alone. Not necessarily a city, but Namibia as a whole is the most otherworldly country I have ever been to, and it’s really hard to narrow down one particular place in this country, because it’s the 5th least densely-populated country in the world. Meaning you could go hundreds of miles without seeing a single person, yet feeling one with the Earth, and driving through the most incredible golden-brown hues of sand. 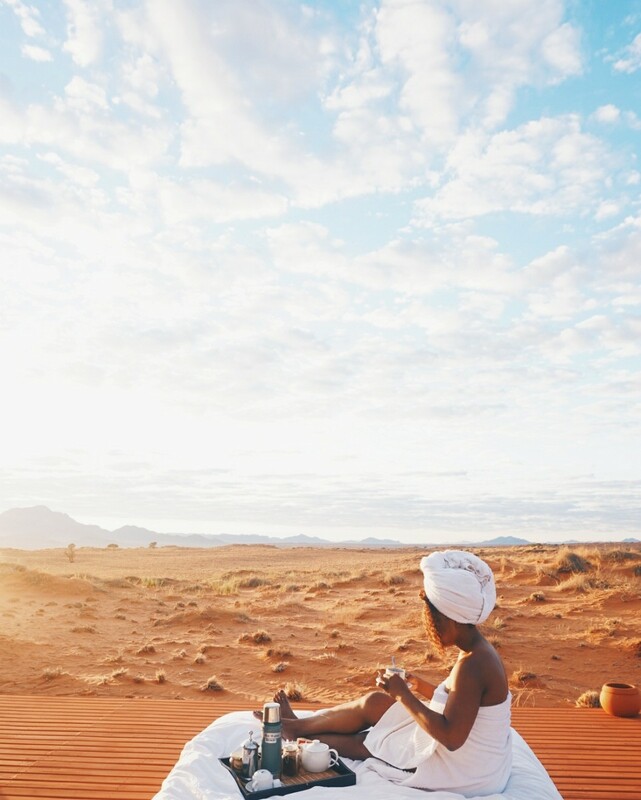 Take it a step further and sleep under those unreal Namibian stars (see photo below by my friend Yishyene) to truly experience one of the most calming and surreal experiences in the Motherland. Peruvian cuisine is reason enough to travel to this country, because stuffing your face and owning your inner-glutton is better experienced without the judgment of friends. Cusco is one of the safest cities in the world because of its small-town feel and tourist-friendly environment. Whether you’re roaming the streets solo, dining by your lonesome, or on a train ride to Machu Picchu, you will feel like just another tourist around Cusco, and the friendly faces of locals put you at ease. 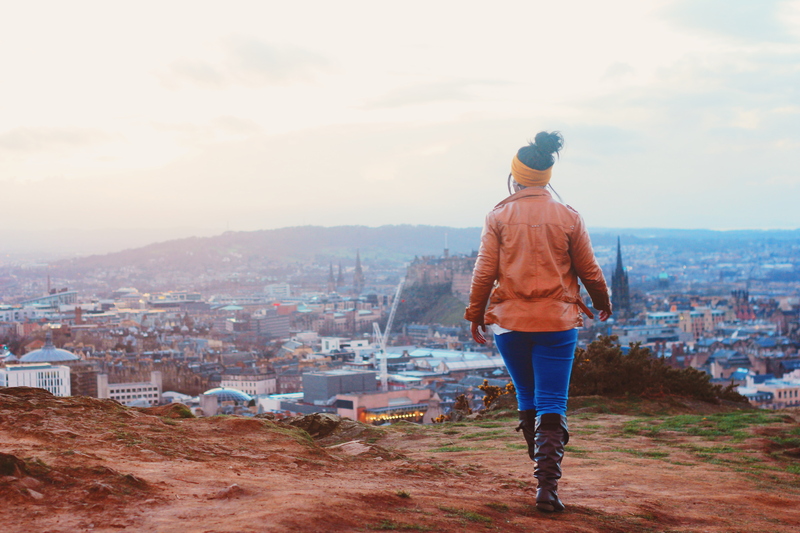 Did you know Edinburgh was the very first place I ventured to solo back in 2012? It will forever own a large part of my heart because of the number of friendly conversations and welcoming people I met. As it was my first solo trip, I had my apprehensions, and I was a bit tense, just because I had no idea what I was doing. But that fear quickly subsided and all it took was one day for a local woman to invite me over for dinner for some home-cooked haggis and to sing me some Scottish folk songs. Just because. To this day, I still think about her and wish we at least exchanged Facebook contacts. 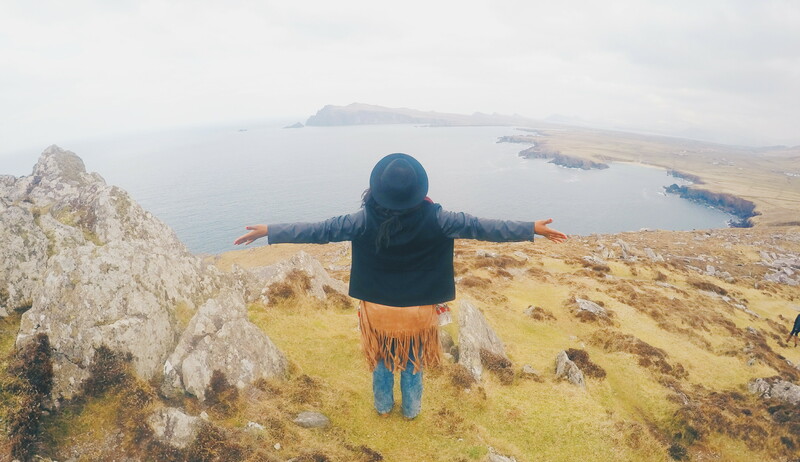 She changed my entire perception of what solo travel could be like. O Canadaaaaaaaaaa, our home and native land! Seriously, there’s so much to love about Toronto, Canadians, and their Tim Horton obsession. Not to mention, The Economist Intelligence Unit named Toronto the safest city in North America and the 8th safest city in the world. While it’s true you might hear a “sorry” for no reason in a typical conversation with a Canuck, the warmth and genuine friendliness is undeniable and no doubt adds to the comfort you feel exploring solo. Be it the Irish accent or the youthful vibe of this city, there is no reason to feel unsafe in Galway. 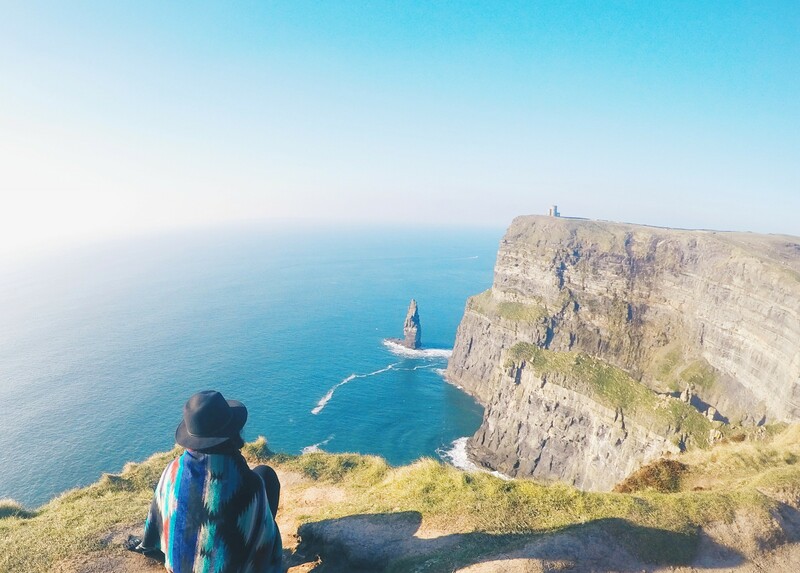 It’s known as a uni-town because of all the Irish and international people that flock there for their studies, but you’ll find yourself roaming the town at night with complete confidence and total comfort. Did I mention their accents are a gift from God? So everytime they speak, it’s like a hug from a long-lost lover. I digress. Another concrete jungle and densely-populated city, yet you will find yourself blending in with the population of both locals and expats. Hong Kong has something for everyone, and the nightlife is one of the most insane parts. You can be confident in roaming around on your own whether at 3PM or 3AM, but like any other place, exercise the same caution if you find yourself in an unfamiliar area. It’s easily one of the safest cities in southeast Asia and a great hub for expats and people with business or finance backgrounds. Oh, Bali — the place that inadvertently became my home for the last five months. Bali simply has something for everyone, and I didn’t realize that its safety was a huge draw for the reason I found it hard to leave. Whether I was hopping on the back of random motorbikes to get home at 4AM from the infamous Sandbar, or lost in the villages north of Ubud with locals speaking to me in the universal language of smiles, it’s a safe haven for so many reasons. Canggu specifically is beautiful, cheap, and one of the safest in Southeast Asia — what more could you want? I’ve come to find there’s a correlation between the cleanness of a city and the safety of it. And because Salzburg is virtually spotless, it means the people take pride in their city, themselves, and their surroundings. Whether you’re out waking up the hills with a song (get it? Sound of Music reference), or simply wandering the streets, you will never feel like you need to look over your shoulder. 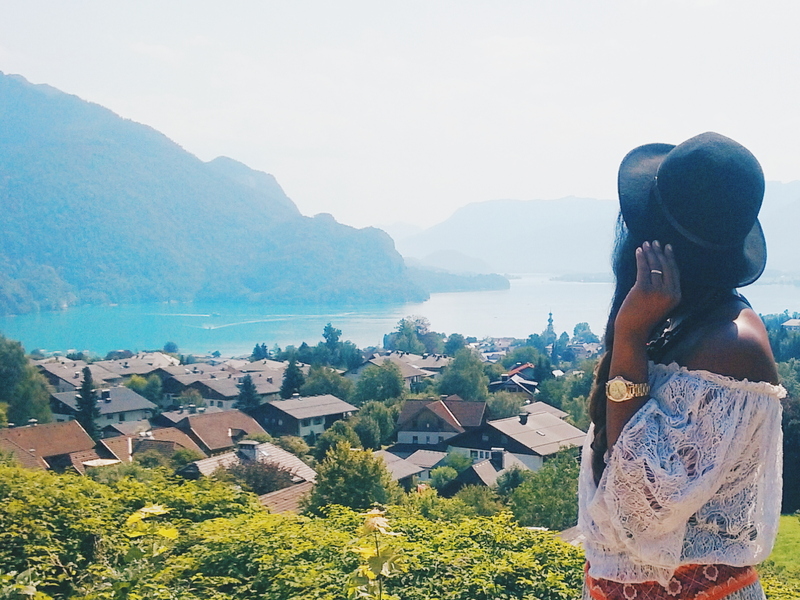 Salzburg is just so clean and orderly, that you will have an amazing time and be worry-free every minute. Similar to Austria, Switzerland is such an efficient country. The people, who are not only multilingual, brilliant, and good-looking, but they are well-mannered and friendly too. 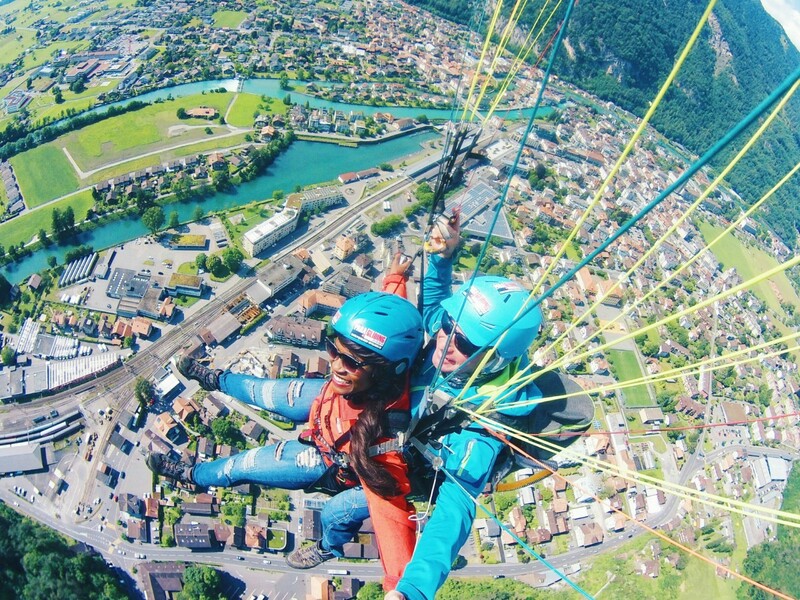 Tourists go there to escape their busy lives and enjoy the outdoors because there are so many adventurous types of activities, especially for solo travelers. The hostel culture is huge (since Switzerland is so expensive), so meeting other people is easy to do. 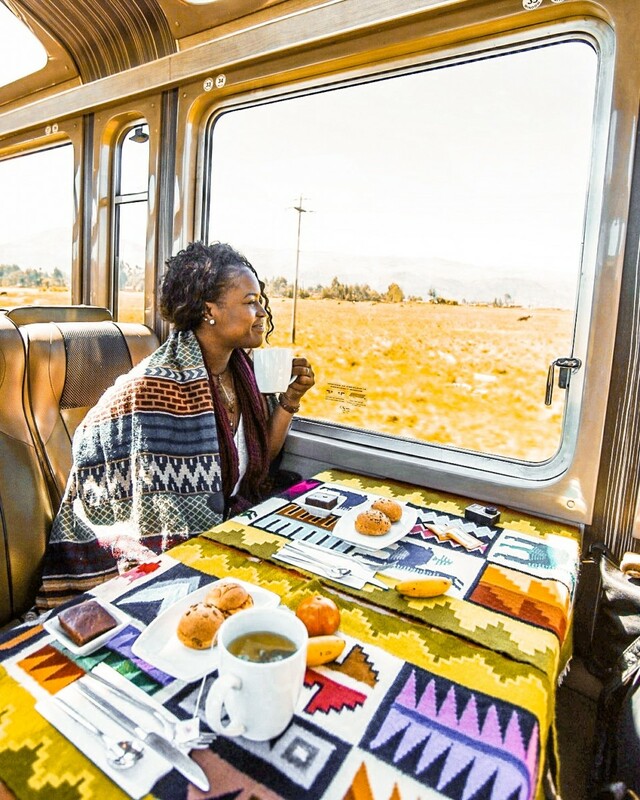 Even if you’re not a hostel kind of person, making friends on their super sleek trains or wandering around town is a breeze. Japan takes mindfulness of others and respect to the next level, and you will find very deliberate rules that not only ensure your safety, but encourage others to honor it too. Something as small as signs on public transport asking you to switch your phone to silent or vibrate, to public workers walking you to your bus stop instead of just giving directions, they have a culture that regards to helping others as an honor, not a task. My friend dropped her pen while we were at a Sake Festival and almost immediately, three people jumped at her to make sure she was aware. I think Japan is a top 3 nation in the world in many ways, and as a solo traveler, your safety will be the least of your concerns! Any places you think should be added to this list? Drop them in the comments! And as always, thanks for reading and be sure to share with a friend!